1 What Is An Occipital Nerve Block? 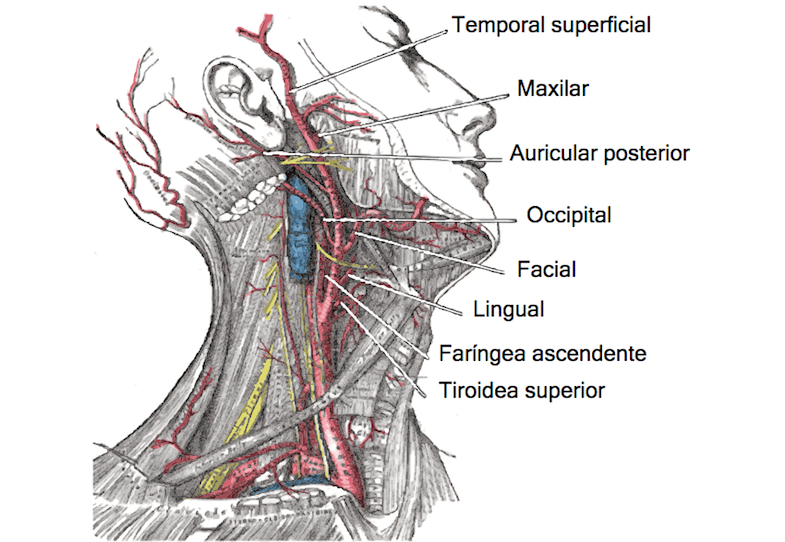 2 What Is The Occipital Nerve? 3 How Is An Occipital Nerve Block Performed? In the following video, a chronic pain patient talks about how occipital nerve blocks helped her get back to a normal life. Are occipital nerve injections safe? As John Hopkins notes, occipital nerve blocks are safe procedures, especially so when performed by a highly-trained professional or when compared to surgery. Occipital nerve block procedures may result in side effects such as tenderness and discomfort in the area in which the injection has been administered. However, the steroids administered should inhibit any pain linked with this. In rare cases, neurological complications such as facial palsy (the reduced ability to move and control the muscles of the face) may occur as a result of an occipital nerve block. However, this is temporary and should resolve itself within about five hours of the procedure. “If you are allergic to any of the medications to be injected, if you are on a blood thinning medication, if you have an active infection going on, or if you have poorly controlled diabetes or heart disease, you should not have an occipital nerve block or at least consider postponing it if postponing would improve your overall medical condition. To determine if occipital neuralgia is the cause of your chronic headaches, visit your pain doctor for a diagnosis. While occipital neuralgia is not life threatening, it can be extremely debilitating for those who suffer from this type of pain. With the right diagnosis, the right treatment can be determined, which may include physical therapy, medication, or an occipital nerve block. You can learn more about occipital neuralgia in the following video. If you’re interested in learning more about occipital nerve injections, click the button below to find a highly-trained pain doctor in your area. They can talk about your pain management options, including occipital nerve blocks. With the right pain doctor and the right diagnosis, you can get back to a life without pain. Young WB, Marmura M, Ashkenazi A, Evans RW. Expert opinion: Greater occipital nerve and other anesthetic injections for primary headache disorders. Headache. 2008;48:1122–1125. Dougherty C. Occipital neuralgia. Curr Pain Headache Rep. 2014;18(5):411. Voigt CL, Murphy MO. Occipital nerve blocks in the treatment of headaches: safety and efficacy. J Emerg Med. 2015;48(1):115-129. Lambru G, Abu Bakar N, Stahlhut L, et al. Greater occipital nerve blocks in chronic cluster headache: a prospective open-label study. Eur J Neurol. 2014;21(2):338-343. Strauss L, Loder E, Rizzoli P. Transient facial nerve palsy after occipital nerve block: a case report. 2014;54(10):1651-1655.